Earlier this week, I mentioned working on my attitude and the tendency I have to blame everything on hormones. Now I have something new to blame, which makes me SO VERY HAPPY. 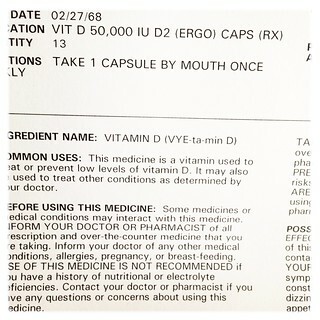 I have a vitamin D deficiency [again]. My levels are similar to where they were at the last time they checked (12.3 ng/ml) so this time my doctor has put me on a 12-month prescription. 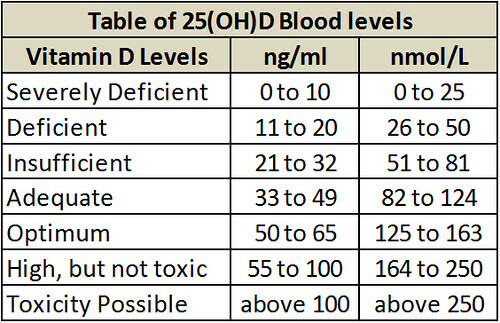 As you can see from the chart below, it is clearly deficient. 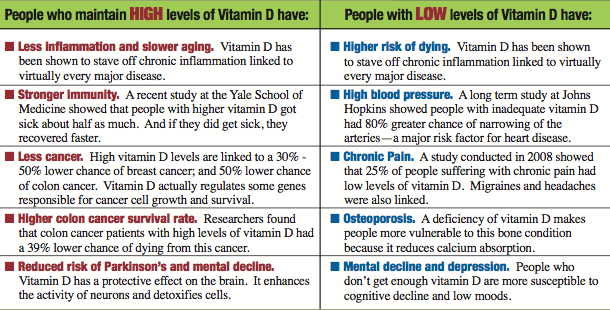 People who don’t get enough vitamin D are more susceptible to cognitive decline and low moods. And have more migraines and headaches. (Which I had also been attributing to hormones.) So while I will accept some responsibility for my stinkin’ thinkin’, I am SO GLAD to know there is likely a connection to the lack of vitamin D in my body. This will now be my official excuse for pretty much everything.